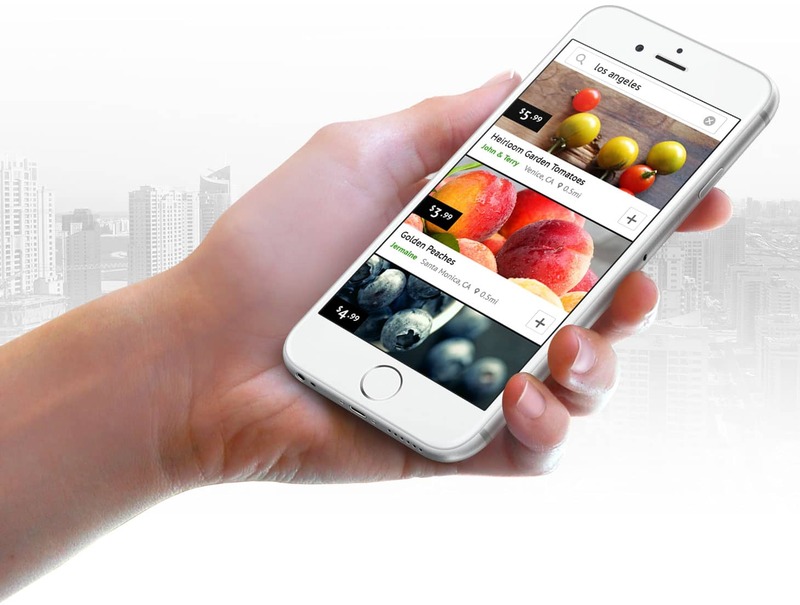 produce via a simple, social app. When you’re starting out as a new entrepreneur, you’re to-do list is a mile long. You’re thinking about how to monetize your product, who your target audience is, and how to bring your ideas to life. Sound familiar? Like any entrepreneur with a great idea, Cropdots’ main concerns were budget, quality, and speed to market. With Debut Infotech’s help, the budding company was able to launch a robust native iPhone app in eight weeks that didn’t break their budget, and provided a clean interface and professional-grade e-commerce functionality. Cropdots partnered with Debut Infotech’s team of offshore specialists to craft the Marketplace. Our team’s dedicated development resources allow us to focus on translating your ideas into creative technology solutions and applications, while you focus on getting your business up and running. We were able to develop a mobile application that met these requirements by leveraging users’ internal GPS’s to pinpoint nearby vendors selling fresh produce. The intuitive interface helped users browse product photos and descriptions before seamlessly placing an order from the app. The secure e-commerce platform uses Stripe technology to instantly deliver payments to and from most major banks. Users have the choice to pick up or browse delivery options for their produce. Vendors can quickly photograph and upload listings for the produce and broadcast their goods so users can find them. Within 10 weeks, Cropdots’ app came to life. Using offshore resources like our team ensures you get your product faster and saves money on local agencies that charge exorbitant fees for their development work. Technology is the heart of Debut Infotech’s business model, and we believe in delivering high-quality technology solutions that are fairly priced so we can take part in the amazing innovation your ideas bring to your communities. Another benefit of working with Debut Infotech is our deep understanding of cutting-edge application development. Behind the scenes, our team built Cropdots’ backend system using Laravel MVC framework and an MYSQL database to ensure reliable api calls between vendor and user information. Using Apple’s new SWIFT 2 and core data models, the iOS app data can be seamlessly organized and integrated for a faster, easier user experience. This robust data management system, combined with the app’s secure, encrypted payment platform make Cropdots as powerful as it is beautiful. When working with Debut Infotech, all you have to do is come up with an idea, and our engineers will take care of the rest to ensure the application works flawlessly. Cropdots is a fun, shared economy that relies on technology to bring people and the products they care about together. Debut Infotech delivers fast, powerful results by accelerating the production cycle and powering the creative process with a team of dedicated technology leaders.